The introduction of barbed wire in the mid nineteenth century changed the shape of modern warfare, it became possible to very rapidly construct barriers that anywhere on the battlefield that could slow down and stop an enemy attack. By the First World War the design of barbed wire emplacements had become a deadly and sophisticated science, with defence in depth and perpendicular to the advance of the enemy to force him into cleared kill zones beaten by heavy machine guns. 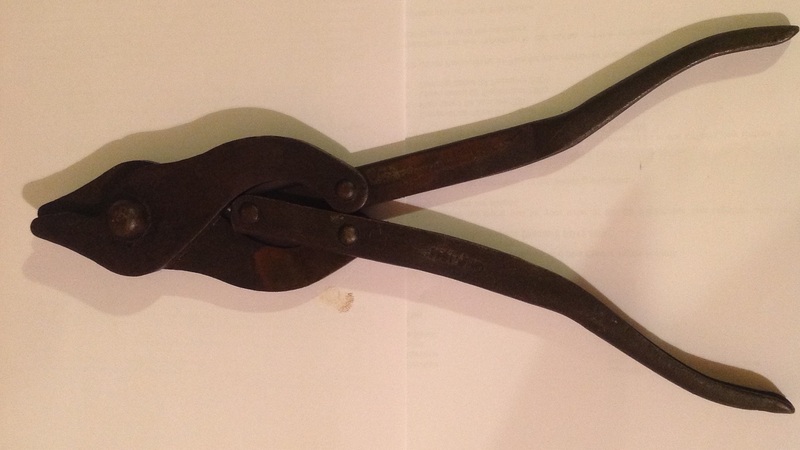 Wire cutters were generally issued at the rate of one per section, being carried by the junior NCO. Pioneers might carry them in higher numbers, and extras were issued is a particular operation was expected to need them. The sturdiness and simplicity of the cutters explains their longevity- they were incredibly effective and there was never a need to replace them with something newer. 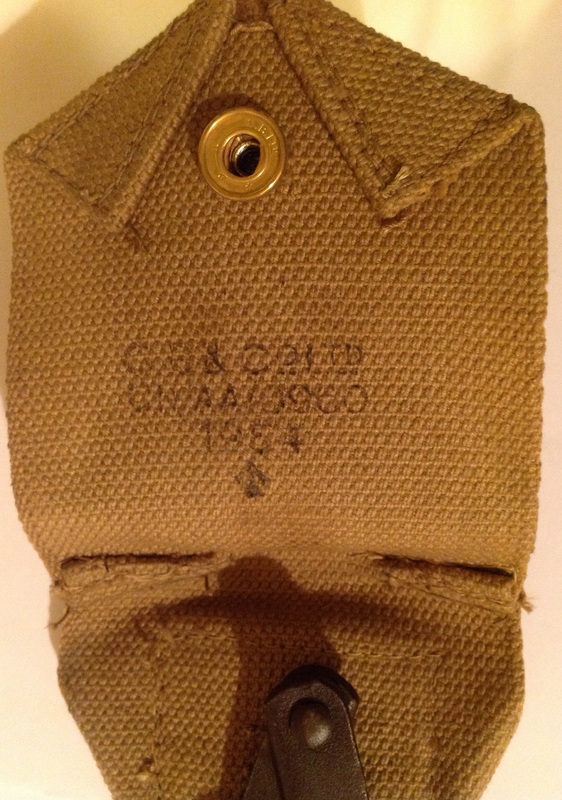 This entry was posted in British Army, equipment, Trench warfare, Webbing and tagged barbed wire, wire cutters on October 27, 2014 by hatchfive. 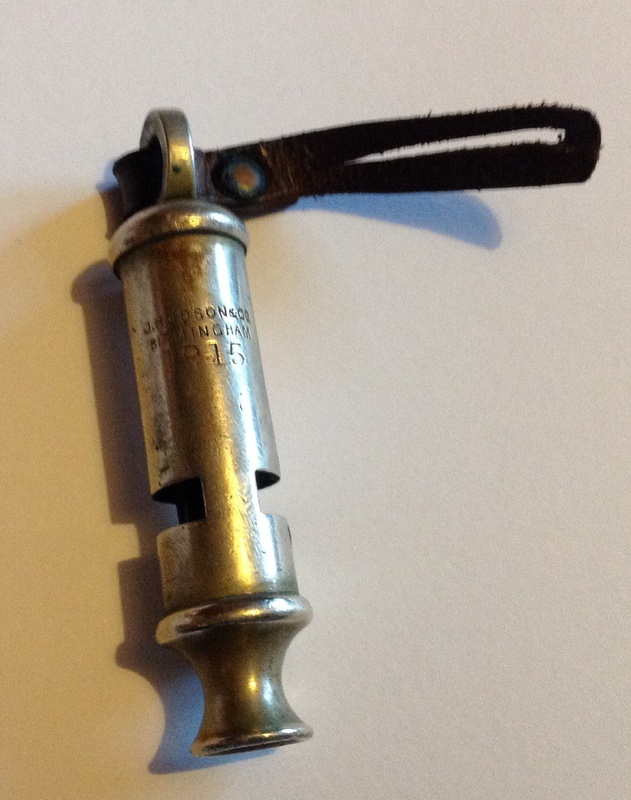 The whistle is dated 1915 and was manufactured by J Hudson & Co, Birmingham. Whistles such as this are of a type called ‘The Metropolitan’ patented by J Hudson in 1884. Originally they were used by police forces to give a clear audible signal between constables on the beat. The loud sound would prove equally useful in the noise and confusion of trench warfare. Officers and sergeants would have been issued or purchased whistles like these and used them to signal men to go over the top. Police whistles tended to have chains, so the leather thong on this one suggests its military. The thong should be longer, but the end is missing and a new hole cut further down the thong to allow it to continue seeing service. 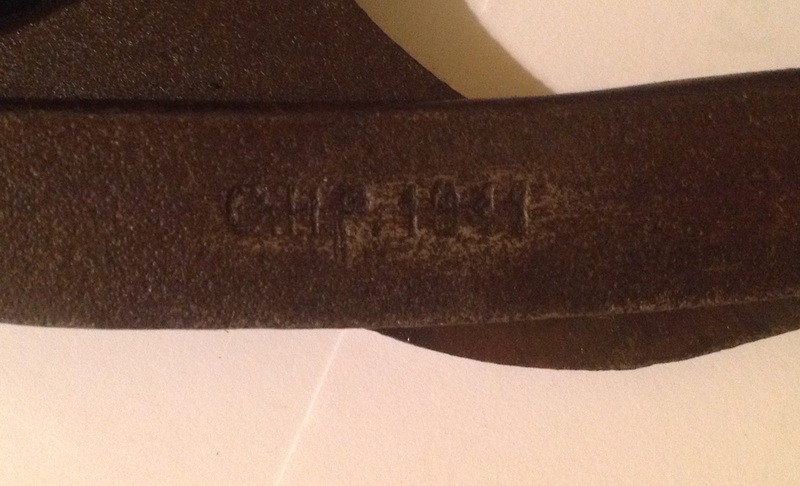 This entry was posted in Trench warfare, Whistle, WW1 and tagged J Hudson, trench warfare on July 21, 2014 by hatchfive.